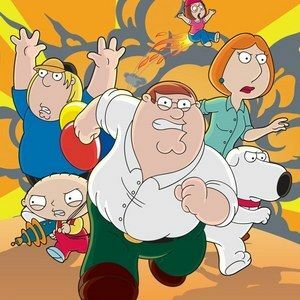 Family Guy cast members Seth Green, Alex Borstein, Mike Henry, and Patrick Warburton returned to Comic-Con on Saturday afternoon, along with executive producers Richard Appel, Steve Callaghan, and Danny Smith, to discuss Season 12. We have the full panel video for you right here, which starts off with a bombshell dropped by Steve Callaghan, who revealed that one of the Griffin family members will be killed off and replaced by a completely new character. Plus, we also have the Season 12 trailer that debuted at the panel, giving fans the first footage before the show returns Sunday, September 29 at 9 PM ET with "Finders Keepers".